A Year in a Car For No Apparent Reason » Turning the van into a model of efficiency and…um…elegance. 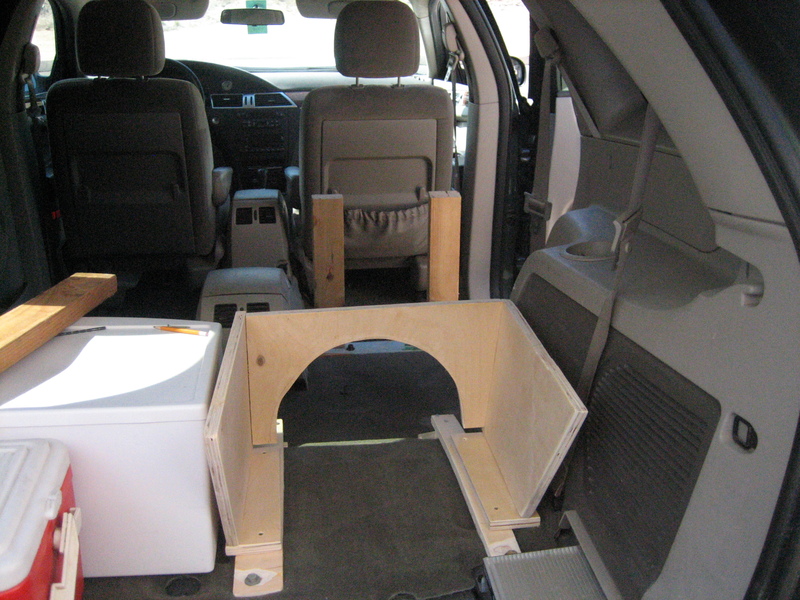 Turning the van into a model of efficiency and…um…elegance. I’ve spent the last two weeks sleeping in a “real” bed. First in the hotel in Chicago and now here at my parent’s house. And boy, does my back hurt. But I’d already been living in the van for a couple months without trouble, so I doubt the problem was that they bed was uncomfortable. Many inches of foam, a sheepskin cover and then big fluffy blanket. No. The problem is that sometimes I just don’t sleep well, regardless of what I’m sleeping on. Which brings us to this week. This week I rebuilt the bed so as to get more storage space underneath it. Well, ok. Dad rebuilt the bed but I helped. 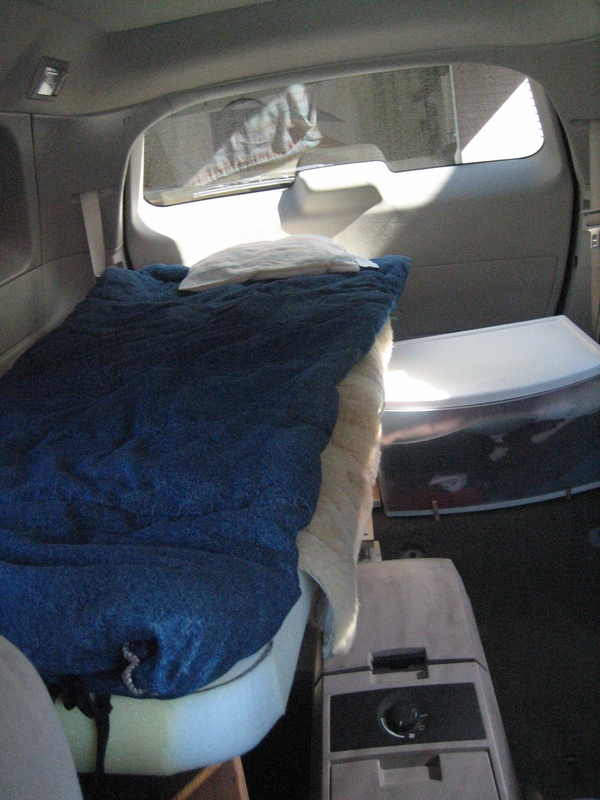 Last time I was in San Diego there was much remodeling of the van including a extra foam pad to make the bed actually lay somewhat level. This time I wanted to get rid of the folded down seat that made up half the bed and get more storage space. So the seat came out and replaced by a complicated support set-up for the bed. I’ll spare you the details of how this came to be, but it took pretty much the whole afternoon to figure it out. Suffice to say that the main support is approximately in the middle of the bed and the arch was cut out so that I can access the space in the back from inside the van. Extra important once I get the bike on the back and won’t be able to open up the back doors much. Next came the surface of the bed itself, made from a nice piece of birch plywood, (the supports were made from some of the remainder of the original piece). Looks shiny, doesn’t it? Dad realized that once I was done with the van he’d be getting it back. So the edges are routed and there are three coats of varnish on this beautiful bed. My favorite thing about it is the cutout in the middle of the picture. We put this in there so that the annoying island in the center of the van can actually be of some use. With this cutout of the bed not only can I actually open it up and use the meager storage space, but now I can use it as a chair instead of sitting on the bed all the time. The old bed was low enough that this wasn’t too big a deal, but now with this island to function as a chair the bed could be raised higher up giving me even more storage space underneath. I’m also a big fan of the rounded edges. I didn’t measure the old one, but I think this bed is a few inches longer. It’s also a bit more narrow at the front but since this is usually where my feet are it shouldn’t be a problem, and because of the way the board fits around the contours of the van this means the bed isn’t in the way when crawling from the front seats to the back. It wasn’t bad before, but this is even better. The last step for the bed was a nice new mattress. I’d been using a two inch thick piece that was slowly disintegrating on me. 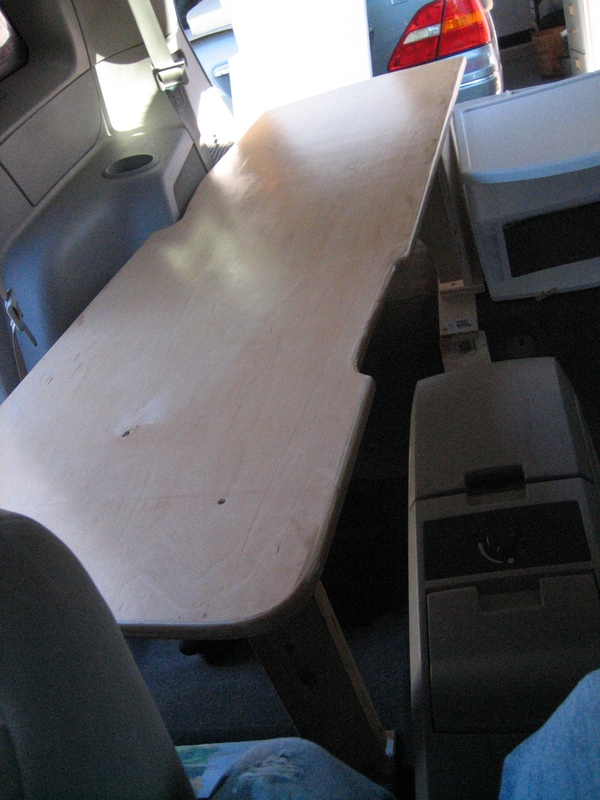 It was replaced by a new solid three inch of foam cut to fit the contours of the board below it. The new bed will take a night or two of getting used to since I’m now up so much higher. Closer to the windows, which I’m not a fan of, but one other upgrade to the van was new extra-dark tinting on two of the windows. And it’s definitely made up for by all the new storage space. Today I started filling up all that space. 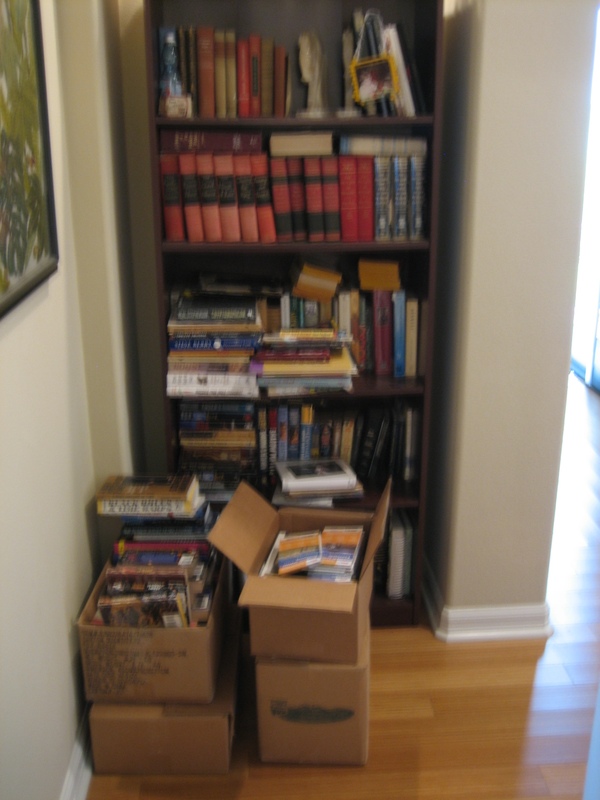 Of course, I don’t have enough room for all my books, (even after spending the last two years getting rid of most of them), but I’ve still managed to pack away under the bed more than I’ll actually read between now and when I come back to San Diego at the end of December. And yes, of course all of them are completely necessary. I swear. Each and every one. Tomorrow I finish with packing and some other last minute things then I hit the road on Friday. Hopefully nothing tomorrow takes longer than I expect. I’m exceptionally envious, you are going to have SUCH a good time. You’ll have to put the occasional post on livejournal to remind me to check in here and see how you’re doing! planning phase. Such enjoyment to see the process of an adventure unfolding and progressing. Please put Virginia on your list for exploration. I’ll be here. Your mom explained how I can send you messages, and here goes. With love. Yay! You need to call me once you’re on the road to tell me how it feels :) It’s so exciting!! Oh, so THAT’s how you do it! I always like reading your blog. Amazing that you can live in a Prius while I worry about lack of space in a 6 metre long bus. :) I love how you keep it so real. Thanks for the responses. It’s funny to look back on this post about the van now that I’ve been in a Prius for so long. What use could I possibly had for all that space?? ?